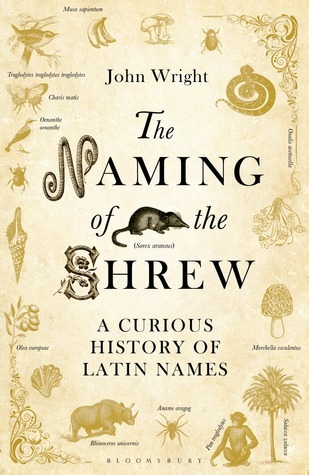 "Does the general public need to learn the Latin names of fungi, plants and animals? Not usually. Anyone asking their grocer for some Apium graveolens (celery) and a couple of pounds of Solanum tuberosum (potatoes) would be marked down immediately as a troublemaker. If your interest is natural history, it is a different matter. Your enjoyment and understanding will be greatly enhanced by learning the names of the organisms that you discover on your travels. And it does make you sound considerably more authoritative when speaking about them to others. Ignoring the comment by the American writer Brander Matthews that 'a gentleman need not know Latin, but he should have at least forgotten it', you do not need to be familiar with the language in order to understand Latin names. They start to permeate the mind as you learn them and learn how their authors created them." "As the unfortunate wren would testify, organisms are not in a position to choose their own names - edulis (edible) and deliciosus would not be anyone's first choice. Neither does any living thing come with a label attached. Names are the work of men, and many seem designed to amuse or impress as much as to inform." I know of the author, John Wright, from his mushroom foraging on River Cottage episodes. As a further aside, this is a great show and you can watch the older and newer ones on YouTube. It may or may not be slightly addicting. I am only about fifteen pages into this book and I have been enjoying his knowledge and experience deftly intertwined with his wit and humor. And on a different note: Happy New Year! Two days in and I'm thankful for another year to be in God's kingdom, gainfully employed in the life He has given me. With so many like-minded readers and thinkers out there, it is encouraging to find such community. January is a gift of fresh starts and renewed passions. Here we go! Welcome to the new year, Heather! "Anyone asking their grocer for some Apium graveolens (celery) and a couple of pounds of Solanum tuberosum (potatoes) would be marked down immediately as a troublemaker."